How to Retune Your Harp - The Chip's Challenge Wiki - The Chip's Challenge Database that anyone can edit! 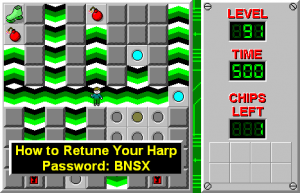 How to Retune Your Harp is the 91st level in Chip's Challenge Level Pack 4. 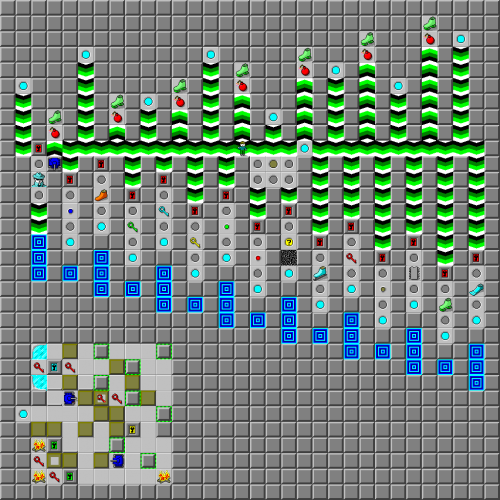 This level contains the third secret hint, with a password to skip further in the set. The secret password is LOEC, which skips the player ahead all the way to level 136, Seeing Red.